If you’re looking for a country to expand, Brazil might just be the answer. Brazil makes up half of South America and is the fifth largest country in the world. The country has an estimated population of 197,000,000 (Source: World Bank, 2011), 46 percent are Internet users, and 59,000,000 are Facebook users (Source: Internet World Stats 2012). 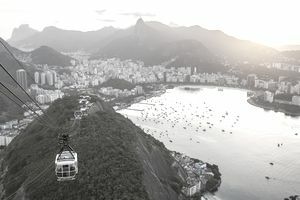 Brazil is a ripe and robust market offering excellent growth opportunities for exports. It is also part of the emerging–or developing markets–which include large economies such as the BRICs: Brazil, Russia, India, and China. In 2011, the United States was Brazil’s largest source of imports followed by China, Argentina, Germany, and South Korea. The key sectors of the Brazilian market with higher than average growth are air transportation, telecoms, oil and gas, and mining. The country’s IT market alone (specifically telecom equipment sector) is soaring with IT end-user spending in Brazil expected to grow to $134 billion in 2014. When it comes to more than 88 million Brazilian online shoppers, electronic appliances, computers, fashion, and accessories are the key areas of buying interest. Most Brazilians like to do their shopping through marketplaces and group-buying websites such as Peixe Urbano (peixeurbano.com.br/), a discount website similar to Groupon in the United States. Other popular websites include MercadoLivre Brazil (mercadoLivre.com.br), and Magazine Luiza (magazineluiza.com.br). Develop a deep and meaningful personal relationship with a native because their culture is based largely on those relationships. Portuguese is the official and most widely spoken language. Find someone who is bilingual as this will make your communications flow a lot easier and more effectively. You can start looking by using social media and networking platforms (e.g., Facebook, LinkedIn and trading groups such as Import-Export Global Trading Group, but at the same time contact the U.S. Commercial Service Gold Key Service for help (refer No. Create a presence in Brazil, whether through a personal contact living in Brazil or on your own through the help of a governmental organization that has experience in the market, such as U.S. Commercial Service’s Gold Key Service. When you find a trustworthy partner or distributor, be sure to consult with a Brazilian law firm (again, ask who you know and trust for a recommendation) before signing any agreement to avoid potential legal problems. Participate in a trade show to allow people in the industry to get to know you in person and become acquainted with your company’s products. Keep in mind that you will most likely have to tailor your products to the Brazilian market. Brush up on Brazil’s trade regulations and standards. You want to make sure early on that your products and services do not carry any barriers to entry. Given the sheer size of Brazil and the high percentage of wealthy individuals, it makes for a great target market for consumer goods and services, especially anything related to the growing telecommunications market as noted earlier.